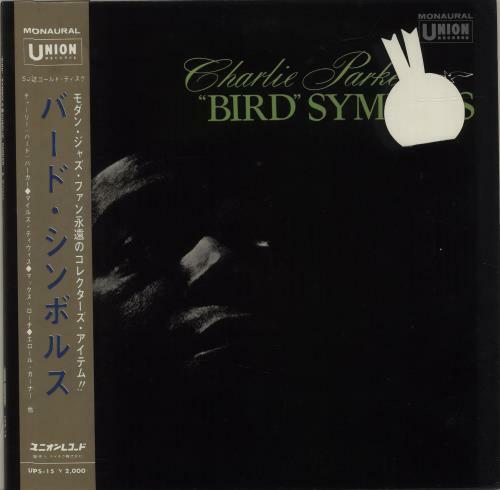 CHARLIE PARKER Bird Symbols (Original Japanese Union/Teichiku issue 12-track MONO vinyl LP - Includes the tracks Ornithology, Yardbird Suite and Moose The Mooche amongst other great compositions. Also features the talents of Miles Davis, ErrollGarner and Max Roach. The vinyl is in excellent condition, with just a few light paper scuffs with little or no impact on sound quality. Issued in a full picture sleeve with Japanese insert and obi-strip UPS-15). or visit our Charlie Parker image gallery.